Join us for a free half day's training in SAS Visual Analytics and learn how you can exploit your company's data to derive genuine business insight and advantage! Our training session will help to get you started in understanding the power of SAS Visual Analytics. 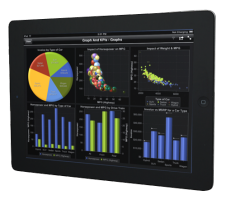 SAS Visual Analytics combines an easy-to-use, dynamic interface with powerful in-memory technology to enable all types of users to visually explore data, execute analytic correlations on any size of data within seconds, and deliver the results quickly wherever needed via web reports and mobile devices.